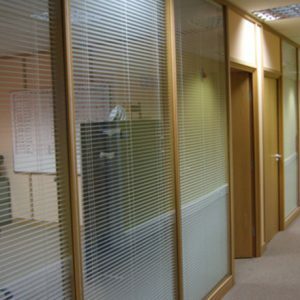 Folding screens offer businesses a unique opportunity which is not available with alternative methods of partitioning. Folding screens provide a much more flexible option as they can be moved and removed at the will of the user. While you can separate rooms and create a complete barrier between one space and another you can also choose to push that barrier to one side and combine the two spaces. This is something that has been used in teaching environments for a long time and although the principle has remained the same the technology has improved far beyond the curtains and curtain rails that it used to be. This flexible option of office design is popular for a number of reasons. The office space can be manipulated in terms of size to meet the requirements at that time, so if your working environment fluctuates between numbers of people or levels of communication this is an ideal solution. 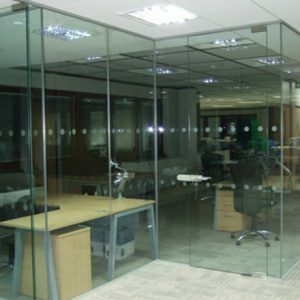 The screens allow you to separate various parts of the office or open the office up in order to meet the requirements of the working day. They can also be used instead of a solid wall in areas where more space or different layouts may be needed in the future. For example, if your office is likely to give presentations in the future or host particularly large conferences and meetings you may consider this as an option. With the ability to create a larger space you can accommodate more people for your conference without them feeling squashed or uncomfortable. There are a number of options available when it comes to folding screens. They come in a variety of different materials, colours, styles and designs to compliment different office designs and their needs. Wooden style folding screens are most popular in offices as they have a clean, natural and modern look that looks great in most environments. There are however sliding glass screens available too and they are currently on the rise. They too have a very modern feel and look great in most offices. Aside from this they also allow natural light to flood the office eliminating the need for extra lighting whilst they are in place. 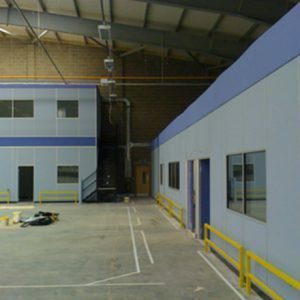 Modular Systems are experienced in supplying, designing and fitting folding screens having been in the industry now for nearly eighteen years. With us you can rest assured that you are receiving high quality goods that are safe, reliable and long lasting. For more information on our folding screens please feel free to contact us.